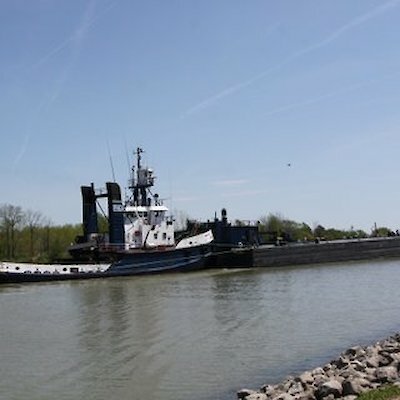 A 15 minute drive from Niagara Falls will take you to the Welland Canal. This canal is the gateway to the upper lakes and is designed to by-pass Niagara Falls and carries ships over the Niagara Escarpment. It’s where ships climb the mountain. The canal connects Lake Erie and Lake Ontario and is 42 kilometres, or 26 miles in length. It has eight locks. The canal was first cut in 1829 and significant improvements made in 1932 and 1973. 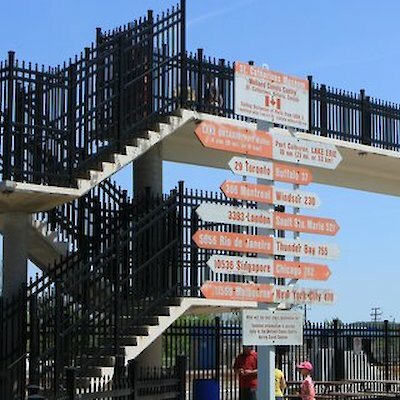 Locks 4, 5, and 6 in nearby Thorold are called the flight locks because they function like giant steps in a large flight of stairs. To avoid delays, the locks have been twinned to allow for two-way traffic. To best view these unique sites go to Lock 3 along the canal. You and the kids will love it. It’s all free. 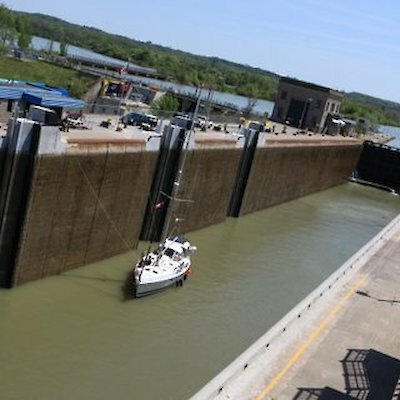 Here’s a photo I took of a smaller yacht going thru the lock. There’s another photo of a tug pushing a barge along the canal.